My name is Stephen Cantwell and I’m in my third year of Agricultural Science and International Development double degree. Born and bred in Melbourne, I came to La Trobe University straight after I finished high school. I’ve always been passionate about social justice and had an interest in agriculture since I was young so the Agricultural Science and International Development double degree was perfect for me. I enjoy most codes of sport but have a particular love affair with my Melbourne Demons and Melbourne Victory. There is nothing better then going to the games with the lads and watching the boys play. I also love to travel and experience new cultures that are completely different to my own. La Trobe has allowed me to stay on track for my goals while opening me up to a whole new world of opportunities and experiences that I would have never expected myself to do. 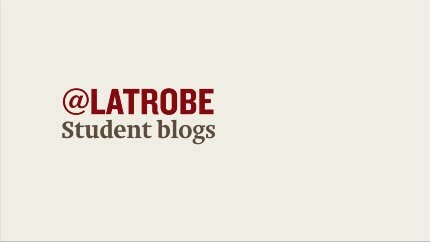 It’s going to be an exciting and unpredictable year at La Trobe this year and I would love to share all the thrills and joys with you. So follow me! Stephen Cantwell on @latrobe. Student exchange - the way to go!